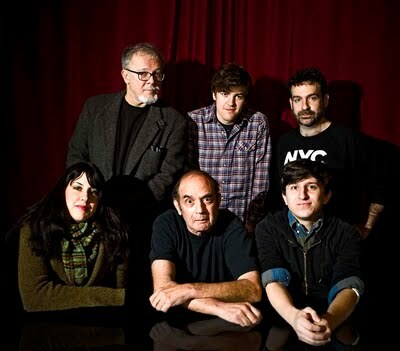 Last week, SMITH joined forces with Graphic NYC for PEKAR WEEK celebrating our man Harvey’s comics career and current collaborators on The Pekar Project. 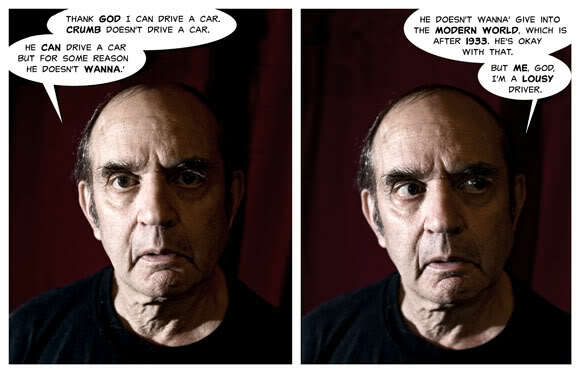 PEKAR WEEK on Graphic NYC was produced by vunderkind photographer Seth Kushner who concocted a snazzy “fumetti” or photo comic (excerpt above) using text from Christopher Irving’s interview and Kushner’s own photos taken at King Con Brooklyn. Throughout the week, Graphic NYC presented some spectacular features (click on images below) including Dean Haspiel’s “Anatomy of an American Splendor Cover” where Dino takes you through the full creation process of the cover for American Splendor: Another Dollar; Rick Parker’s “How to Draw Harvey Pekar” where Rick takes you from bulbous oval to full-on Harvey head in 13 easy steps; “The Pekar Project: Gettin’ the Band Together” featuring Kushner’s patented potent portraiture of each Pekar Project team member, as well as comments on working with Harvey; “Origins of the Harvey Heads” where Kushner asked 12 of the 120+ artists who drew Harvey Heads for our 70th Birthday gallery to comment on doing so; + other great features. 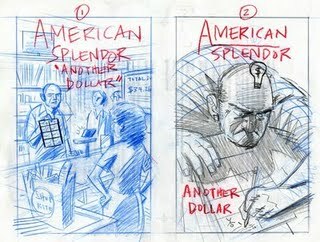 Dean Haspiel's "Anatomy of an American Splendor Cover"
Beautiful images, love the color. Really enjoying following your work. Hmm…I dunno what happened. 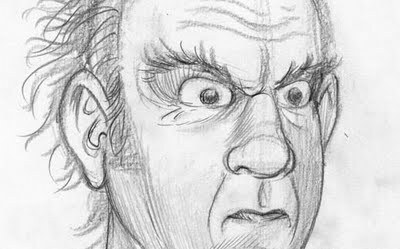 When I clicked on the “How to Draw Harvey Pekar” only one image was displayed. It’s supposed to be a whole sequence of step by step instructions from blank p[aper to completed drawing taking into account the shape of his head and the various distances between facial features all of which are important in order to get a good “likeness” of the man. It was great to be a part of the Pekar Project and I very much enjoyed the opportunity to get to know the others and to observe Mr. Pekar, who was a unique and fascinating man and creator. Loved the illustrations. Eric Orchard’s is my favorite. What has started the outcry wasn’t immediately clear. Looking forward to more posts from you. Just about every time I’m online I am overwhelmed with junk fake news but I depend on your website for the freshest daily news. Just how many people do you really think could possibly believe in this sortof thing? I really enjoyed your website. This goes totally against almost everything I have thought until now however, I’m going to do what you have suggested and I’ll let you know what happens. The Harvey Heads—Happy 70th, Mr. Pekar! Get the Pekar Project Tee!